A Well-Seasoned Life: Early Bird Giveaway: "Homestyle in a Hurry"
Early Bird Giveaway: "Homestyle in a Hurry"
﻿I am so fortunate to have been asked to review one of Gooseberry Patch's forthcoming cookbooks, Homestyle in a Hurry. This cookbook is filled with delicious and satisifying meals that can be prepared quickly and will have your family fed before they can even ask, "What's for dinner?". Click here to read my full review, three delicious recipes, and step-by-step instructions. The cookbook will be released in mid-January, but Gooseberry Patch has sent me an extra copy to share with you. If you would like to ﻿enter to win a free copy of the cookbook, you may enter by simply choosing to follow my blog through Google Friend Connect and by commenting on this post to let me know you're interested in the cookbook. 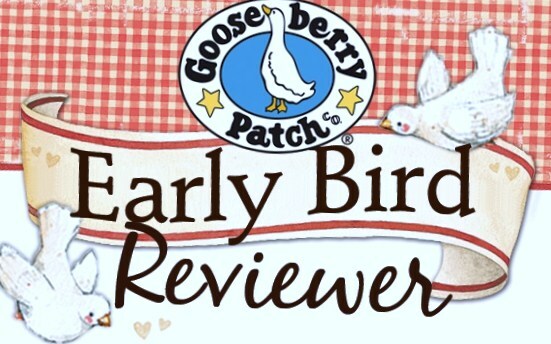 I would love to know the title of your favorite Gooseberry Patch book. I will enter any new followers as of 1/3/11 into the contest. If you are already a follower, just leave a comment here letting me know you're interested in the contest. Entry deadline: January 11, 2011! 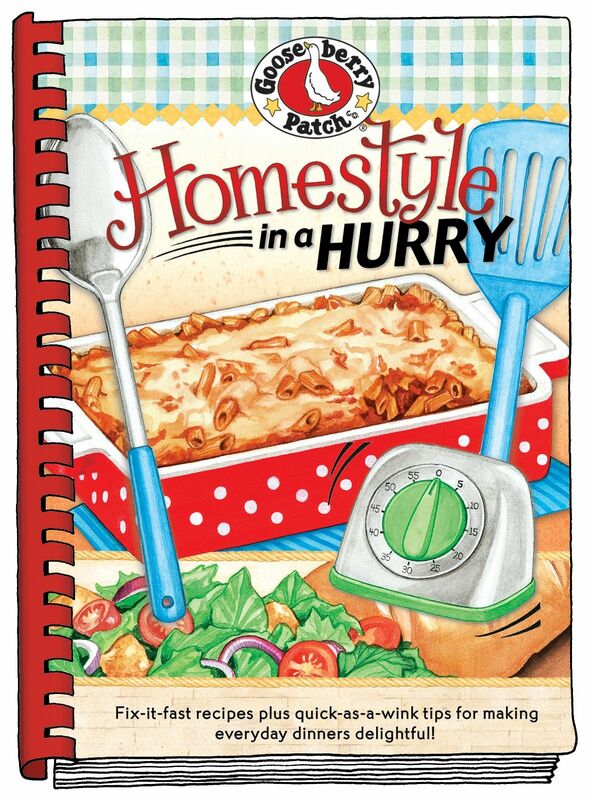 I'm definitely interested in some Homestyle Cooking in a Hurry:) That's so awesome that you get to review their cookbooks! Put me in:) Sounds like a good one! I am a GFC follower! I have a lot of the gooseberry patch in my collection, and they all have wonderful recipes in them! 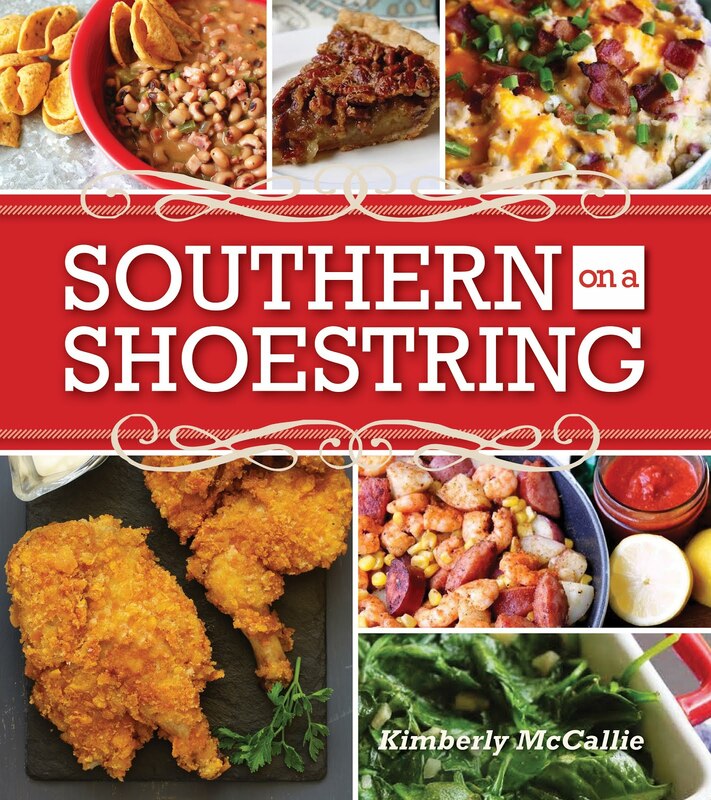 I am a new follower of your blog and would love to win this awesome cookbook! I love all the great recipes that I have found from Gooseberry but only own 1 of the cookbooks, they are a little too pricey for my budget. Would really love to win thiss. ps~your red velvet brownies look amazing & I'm buying the ingredients today! This cookbook sounds awesome...you are so lucky to review it! BLESSED NEW YEAR TO ALL! Sign me up P-L-E-A-S-E!!! I LOVE gooseberry patch and often resort to borrowing the titles from the library and would be THRILLED to obtain my very own copy. These recipes look so good, I would love to win! Looks like great recipes. Would love a new cookbook especially from Gooseberry Patch. I follow your sweet blog through google friend connect! I just found your blog via Gooseberry Patch site. I love every book they make, I have them all.. quilting, christmas, cooking.. I would love to win their new book.. my favorite cook book I have of there's I think is Farmer's Market Favorites... I hope you will let us enter who just found you thanks to this wonderful Giveaway.. love your blog btw, I'll be checking it and following. Everyone is welcome to enter. So happy to see so many new faces!!! YUM-A!!! Your Sourdough Chicken recipe photos are making my mouth water and my stomach growl! Will definitely have to try this one- thanks for sharing the review and recipe! I would love to win this cookbook- all the recipes you have reviewed from it sound so good! I'm a new follower too and I would LOVE this cookbook! I only have the 25 meatloaf and Mc & Cheese cookbooks for the Kindle. I have had my eye on this one as I am really trying to do more cooking at home because my child has several food allergies and sensitivities. Totally excited about a chance to win a Gooseberry Patch Cook book! :-) Love your blog!!!! Oh, This looks like my kind of cookbook. It will go along with my Meals in Minutes and Speedy Suppers! I also like the Celebrate Spring, Summer, Autumn & Winter cookbooks (no longer available) Oh, yes... and my annual Gooseberry Patch Christmas... lot's of great ideas in those. I love gooseberry patch have several of their cookbooks probably my favorite is- Autumn with family and friends. Kim, I love your blog, and your choice of recipes. You make every one so easy to follow. I would love a GBP cookbook. I am a new follower and would love a chance to win Homestyle in a Hurry! Love Gooseberry Patch! I enjoy your blog as well. One of my fav GBP books is 101 Homestyle recipes. I am already a follower of your blog and I love Gooseberry Patch Cookbooks...I have a large collection of their products..and the cookbooks just keep getting better and better!! Your review made me want to add this delightful book to my humble collection...so maybe this comment will do it?! Sounds awesome! Love easy homestyle meals! I'd love to win...mehoye(at)verizon (dot) net. I have been collecting Gooseberry Patch since 1997 and have quite a few in my collection....but since Christmas 2010...my addiction grew stronger by adding 14 new cookbooks to my collection...I have become more obsessed with these babies....so any chance to win one would be an absolute treat! New to your blog, but not to Gooseberry Patch. I have several of their cookbooks.......well, okay MORE than several LOL and would love to add this one to my collection. Looking forward to exploring your site. I would love to win this cookbook!! I am a follower! I just signed up to follow your blog as nightowl and I'm interessted in winning the cookbook. I just signed up to follow your blog. I would love to win the cookbook. I can't pick a favorite Gooseberry Patch because I love them all. i always wanted to try this series! I'm a new follower. I've heard a lot of good things about this series! I am on my feet all day at work and need something quick, easy and healthy to fix for meals. This cookbook looks great. I now follow you via Google Friend Connect and would love to be entered into this contest! I really like my home-made gifts book (from several years ago) from Gooseberry Patch. I have several of the Gooseberry cookbooks . . . they're all winners. This cookbook would be a real timesaver for me! I go to my Mother's house every day. She is very sick. I cook for my two sisters that live there with her. I have several Gooseberry Patch cookbooks, but can ALWAYS use another! Have a great day! Working wife,mother of one, grandmother of one and caretaker of many. This cookbook would be enjoyed by so many. Collector of cookbooks and Gooseberry Patch is already in the collection and would LOVE to add another. Thanks and God Bless!